Leica 35mm Summilux-C lenses – a groundbraking new line of PL mount primes designed to deliver ultra-high optical performance for film and digital capture. These new T1.4 close focus primes employ a unique multi-aspheric design and high-precision cine lens mechanics to provide unmatched flat field illumination across the entire 35mm frame and suppression of color finging in the farthest corners of the frame with no discernable breathing. 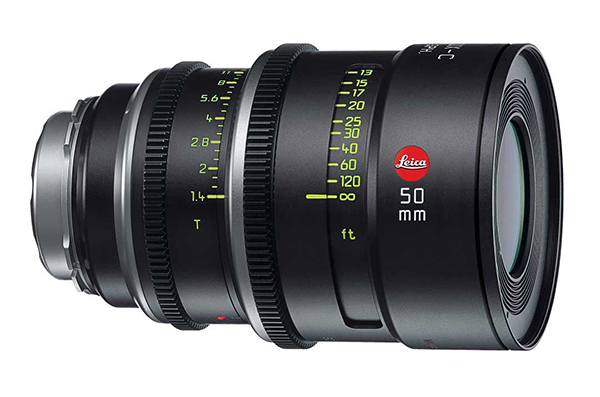 All Leica Summilux-C lenses share a uniform length, 95mm threaded lens front, advanced distance focus scales and similar location of focus and iris rings – which allow quick interchange of lenses in a busy production environment. Another unique feature is an integrated net ring threaded into the rear element. Designed to be lightweight yet rugged, the mount and lens barrel are manufactured from high-strength titanium. Leica Summilux-C lenses weigh between 1.6 and 1.8kg (3.5 – 4.0 lbs).